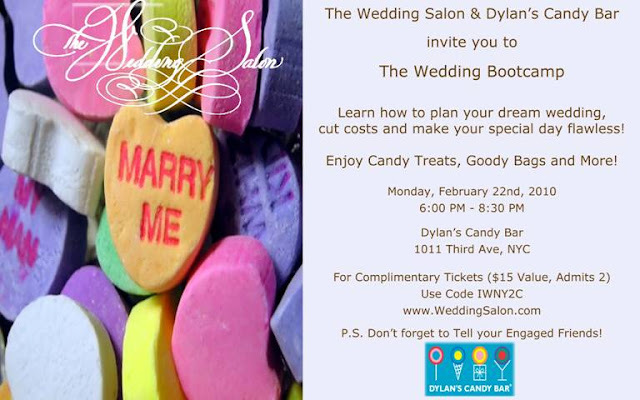 The Wedding Bootcamp is an event sponsored by The Wedding Salon - it's a great place to meet vendors, taste cakes/cupcakes, and get some goody bags! I've actually been to one of these and thought it was a wonderful experience. Use the complimentary code IWNY2C (via "I Will" to "I Do") to get free tickets! Engagement Picture Creativity - Water Balloons! Win three bridesmaid dresses with Swoon! Bridal shower idea - Flower-arranging class! Crate & Barrel Wedding Giveaway! Wedding closet sample sale alert!